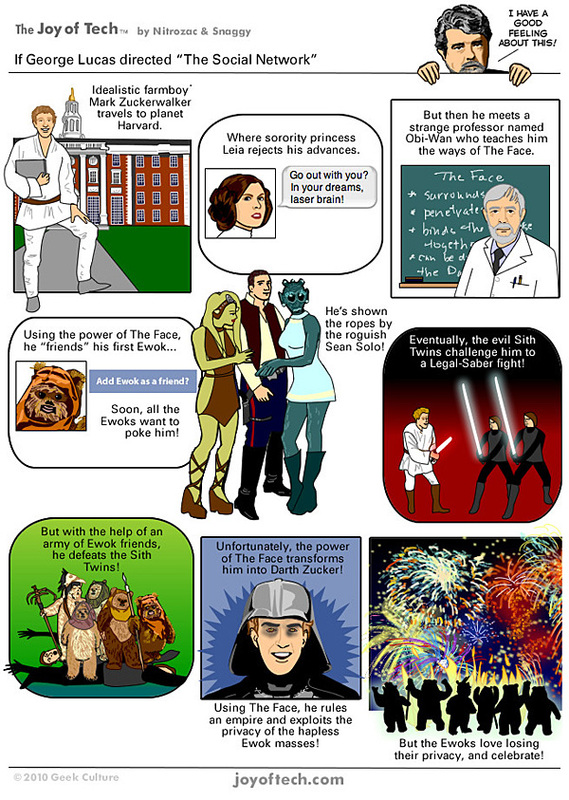 What would be the best thing about a George Lucas “Social Network”? We could look forward to 10 or 15 different versions of it over the next 10 years. Scene where Google the Hut hires a bounty hunter to “unfriend” Zucker. The 3-D version coming soon! The scene where Jar Jar Binks invents Twitter.